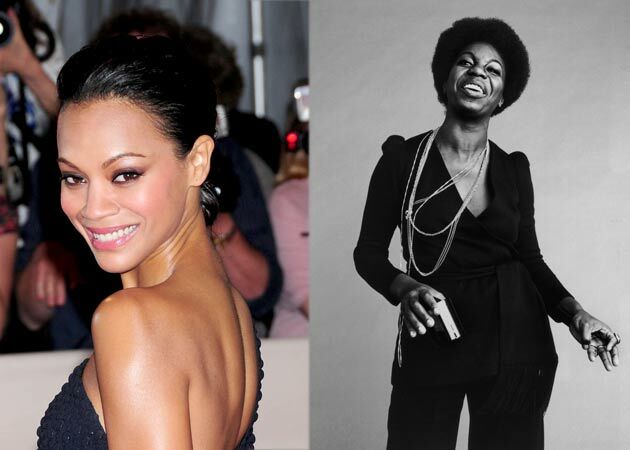 *Damn, some people are really upset Zoe Saldana is about to play Nina Simone. Yikes, he’s not playing either. First of all, he writes that Nina Simone is much more than what the film is about to be, especially since the creators of the film didn’t consult any of the singer’s family members. Beyond that, he says the manner in which the film is being handled is sloppy, and does not reflect Nina Simone’s philosophy. The discussions of the issues are as complex as they are controversial; however, they are important conversations to have and keep having. The most frustrating people are the ones who imply everyone should just shut up and “wait and see” or “leave them alone.” That kind of attitude and oppression is not in the spirit of Nina Simone whatsoever. Quite the opposite. Nina was vocal, defiant, a warrior, an activist. She would not have simply shut up and sat down. She would’ve shown up at the studio with a shotgun to speak with Ms. Mort and slapped the makeup off Zoe. So let’s get that straight first. We’re going to talk about this and those of us with strong, impassioned opinions are going to express them. The script, written by Latin American writer and first time director Cynthia Mort, is based in a series of lies. That is our starting point. Cynthia calls this her “artistic license.” Under that umbrella what Cynthia is implying is that she can pretty much do whatever the hell she wants and she doesn’t have to listen to anyone. Cynthia has focused her story on Nina’s relationship with her personal assistant, Clifton Henderson, himself a controversial person in Nina’s life. Well before Nina’s death, before talks about a movie, there were issues expressed about Clifton’s intentions regarding Nina and his efforts to seemingly keep her isolated. He was around Nina for the last few years of her life. He can be seen with her in a filming of Nina’s concert in Brazil in 2000, during shots of Nina being interviewed in a boat (http://vimeo.com/ninasimone/livebrazil). There’s more. Lots more. Read the full letter here. i love Zoe. i think she is a brilliant actress and gorgeous. i do however feel she is not the right fit for this role and not so much because of her complexion but other factors. in addition it does disturb me that other worthy and capable AA actresses who are not mainstream were overlooked for this role whom i think would have been a better fit. I will not support this movie. I will definitely…………….NOT BE SUPPORTING THIS B.S. And on top of all of that, y’all……….Clifton Henderson isn’t even straight, according to Nina’s daughter. So, yeah.